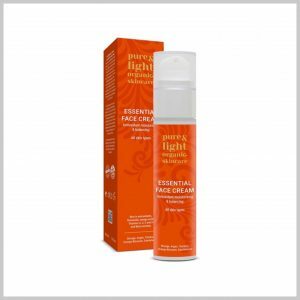 Improve the appearance of skin tone and elasticity with the help of our natural face crème. 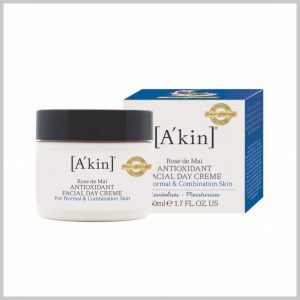 [A’kin] Day Crème’s rapidly absorbed, highly moisturising formula is enriched with combinations of pure active botanics like Vitamins A, E, B5, and C, and Alpha Lipoic acid, as well as Echium oil, which is rich in Omegas 9, 3 and 6 essential fatty acids. 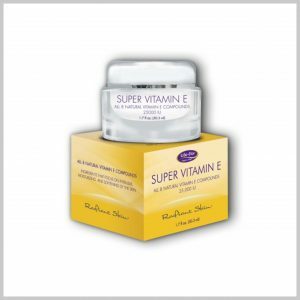 These powerful natural ingredients work in synergy to hydrate skin and help reduce the appearance of fine lines and wrinkles for a healthy, radiant complexion. 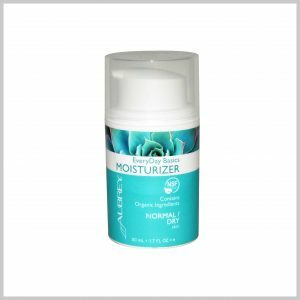 It is an essential face moisturiser to use in your natural skincare routine for all-day hydration. 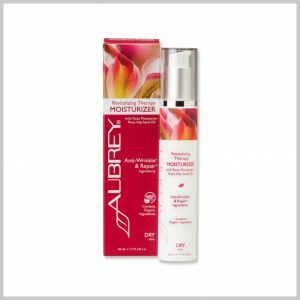 Alva SENSITIVE 24-hour Facial Care Cream provides care and protection throughout the day. Hyaluronic Acid smoothes the skin, Grape Seed Oil protects, while Argan Oil and Babaçu Oil from controlled biological farming moisturise the skin for long-lasting hydration. Alva SENSITIVE Hydrogel is a rapidly absorbed premium quality serum designed to intensively hydrate the skin to leave it feeling rejuvenated and fresh. Hyaluronic Acid draws moisture into the skin, leaving it feeling plumper, firmer and smoother. This silky smooth lotion brings together the highest quality natural moisturisers, premium botanical extracts and gently aromatic essential oils. This light-textured formula makes this the perfect solution for all-over body application to ease and restore extremely dry and sensitive skin. Stellaria (Chickweed) and Mallow Botanical Extracts cool and soothe sensitive areas, Shea Butter offers protection against the elements, Jojoba, Argan and Macadamia Oils nourish and replenish extremely dry skin and Pure Essential Oils of Orange Blossom and Lavender create a comforting and calming aroma. 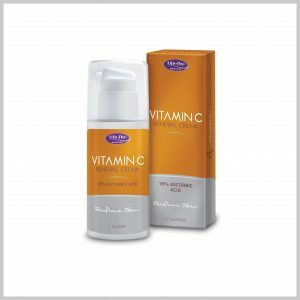 This product is suitable for all ages and for those who may be prone to eczema and psoriasis. 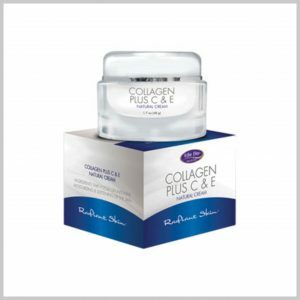 A rich moisturiser infused with the living energy of Dead Sea minerals blended scientifically with Shea Butter and antioxidant plant oils (Pomegranate, Almond, Grape Seed Oil) - Cellvitin. 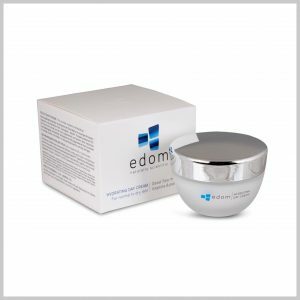 Rapidly absorbed, it protects the skin from dryness, preserving its elasticity and fighting against ageing. Leaves skin soft, vital, smooth and growing. 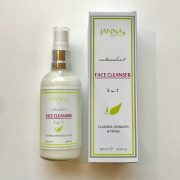 Apply to cleansed face, gently using upward circular motions. Free of Parabens. No Sodium Lauryl Sulphate. Free of mineral oil. Against animal testing. 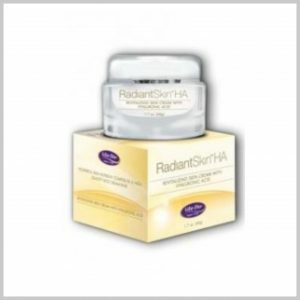 Lovely Radiant Skin Help replenish the hyaluronic acid which is naturally lost with age, to leave your skin feeling renewed, smoother, and younger-looking. 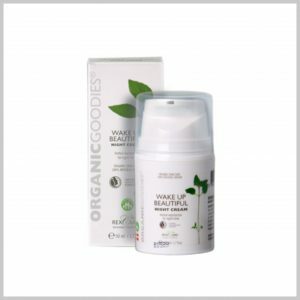 Massage a small amount of this luscious cream into your skin for unmatched hydrating properties while powerful nutrients such as artichoke and grapeseed extract, aloe, MSM and glucosamine help promote cellular renewal and complexion restructuring. Evening primrose oil, shea butter, and vegetable glycerin add soft supple moisture. Scented with fruity, clean essential oils to enhance your glow! 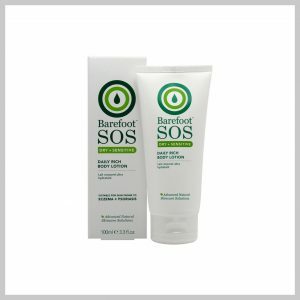 Oil-free moisturiser with the regulating extracts of Northern Oak and Sage. 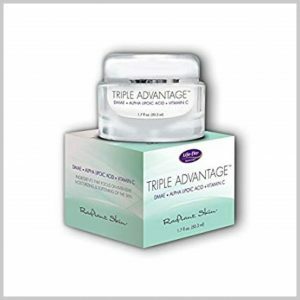 Minimizes pores, soothes irritated skin and delivers balanced moisture. Helps control excess oil and reduce shine. Absorbs quickly, leaving skin smoother and instantly clearer. This powerful perfecting day cream gently retextures, renews and moisturises facial skin with a treasure trove of nutrients. Seabuckthorn contains more than 190 active macro and micronutrients, including more than 60 antioxidants, in amazing balance: Vitamins A, B1, B2, B6, B9, C, D, E, F, K and P; Omega 3, 6, 7 and 9, essential fatty acids; 42 lipids; 17 amino acids; organic acids; folic acid; carotenoids, phytosterols, flavonoids, phenols, terpenes and tannins and 20 mineral elements¹. 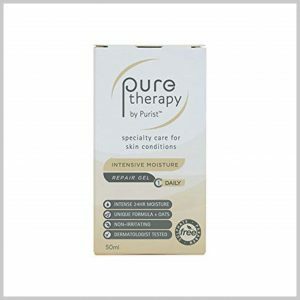 The exceptional high percentages of nurturing and restorative properties help ease and correct the ravages of prolonged stress and compromised skin immunity. Beneficial for all skin types, this luxurious formula also serves as a hydrating primer before mineral or liquid make up application, leaving skin soft and supple with a temporary lifting, toning effect. 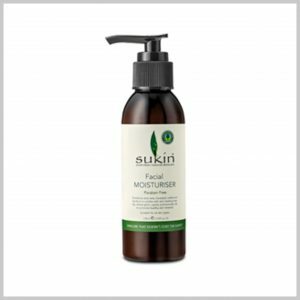 Sukin Facial Moisturiser is a deep penetrating natural face moisturiser that soothes and hydrates to leave the skin feeling soft and refreshed. Available in pump action or flip top cap dispenser. 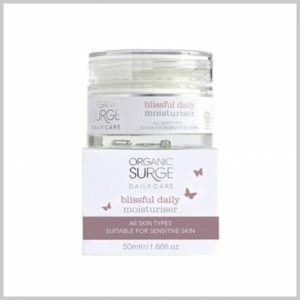 This natural face moisturiser is one of Sukin’s best-selling products due to its high performance. The delicate infusion of aloe vera, horsetail, nettle and burdock help to soothe and rejuvenate whilst the addition of skin healing rosehip oil helps to repair everyday damage. Combined with wheat germ, jojoba and avocado oil this natural face moisturiser is packed with ingredients to help stimulate healthy skin renewal and can assist with minimising the signs of ageing. A light natural face moisturiser that has become a household favourite and works in perfect harmony with Sukin Cream Cleanserand Sukin Hydrating Mist Toner. 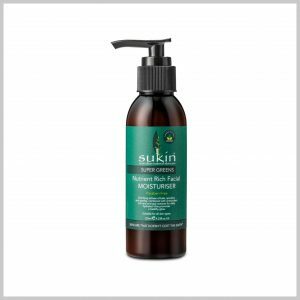 Sukin Facial Moisturiser is suitable for all skin types and is paraben free. Sukin has fast become one of Australia’s leading natural skin care brands offering a luxurious range of natural products carefully made using only the most suitable ingredients. Sukin’s face, body and hair care range offers natural personal care products at affordable prices all of which are free from harsh chemicals and synthetic fragrances. Directions for use : After cleansing, gently massage into face, neck and décolletage. An antioxidant rich blend of rose hip, pomegranate and kakadu plum to deeply moisturise for a radiant complexion. This intensive moisturiser combines rose hip oil and pomegranate to help combat dry skin and prevent the signs of premature ageing. Kakadu plum, naturally rich in Vitamin C, will leave the skin looking radiant and an active blend of natural botanicals will leave skin smooth and hydrated. 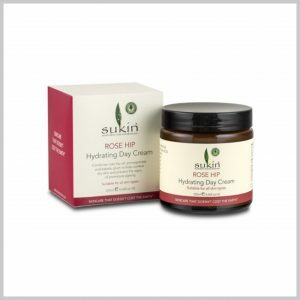 Use with the Sukin Certified Rose Hip Oil, for extra moisture on dry skin. Sukin's Rose Hip Day Cream is suitable for all skin types, and is paraben free Sukin has fast become one of Australia's leading natural skincare brands, offering a luxurious range of natural products carefuilly made using only the most suitable ingredients. Sukin's face, body and hair care range offers natural personal care products at affordable prices, all of which are free from harsh chemicals and synthetic fragrances. Directions for use : After cleansing in the morning, gently massage into face, neck and décolletage. For extra hydration, first apply Sukin Certified Organic Rose Hip Oil. 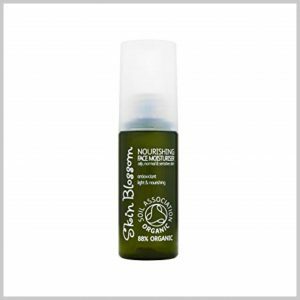 A light weight daily moisturiser enriched with actives of kale, spirulina, chlorella and parsley to promote a healthy looking complexion. Acai and goji berry extracts impart antioxidants to the skin while rose hip, avocado and jojoba lock in moisture. A burst of cranberry provides an invigorating scent to refresh the senses. 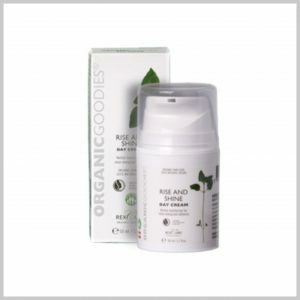 Paraben Free Directions for use : Apply to face, neck and décolletage morning and/or evening after cleansing. For best results, apply Supergreens Facial Recovery Serum prior to use.